Product prices and availability are accurate as of 2019-04-16 17:58:10 UTC and are subject to change. Any price and availability information displayed on http://www.amazon.com/ at the time of purchase will apply to the purchase of this product. 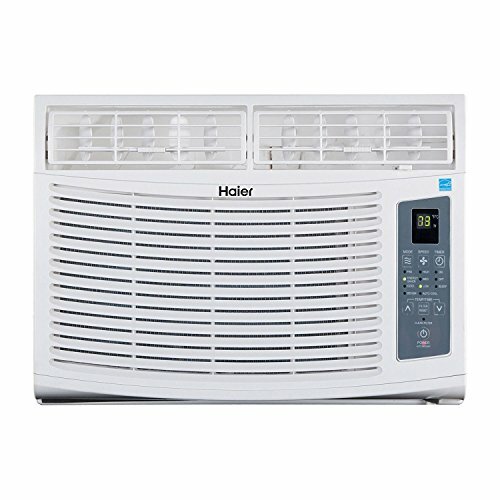 The Haier 12,000 BTU 115V window-mounted air conditioner is designed for a room up to 550 square feet. Four modes include cool for cooling the air, energy saver to save energy while cooling, fan to circulate the air and dehumidify to reduce humidity. Choose from 3 cooling speeds (high, medium or low) 3 fan speeds (high, medium or low) or auto cool for maximum versatility. 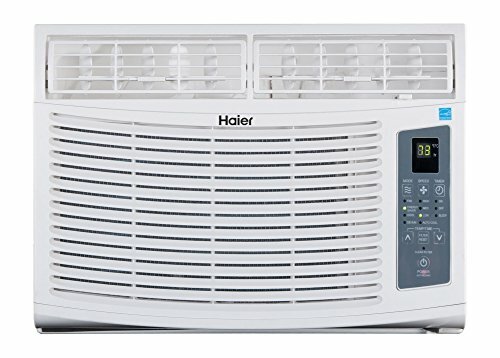 With the energy saver mode, the fan will run at low speed when compressor cycles off and then return to the set speed once compressor cycles back on. 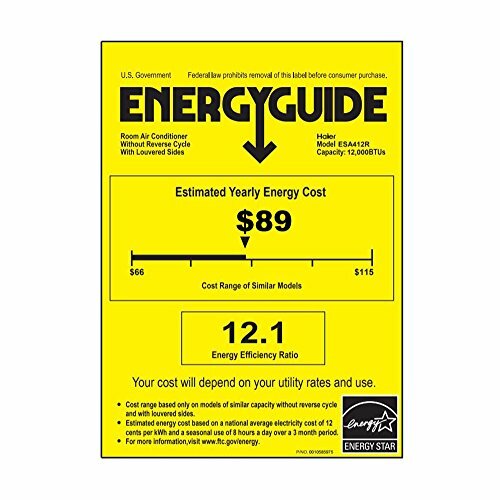 This energy star unit has an electronic control panel with a digital display plus the Magnolia remote control. The Magnolia remote control can be magnetically stored directly on the unit so it is never misplaced plus it has braille controls for the visually impaired.